After scoring his first career series victory last year at Flamboro Speedway, Mike Norris will once again be competing with the Ontario Pro Challenge Series in 2019. After putting a series of back-to-back successful championship together in the Ontario Pro Challenge Series, Tim Norris is hoping that continues in 2019. The season may seem far away with the snow on the ground, but it’s in fact just two and a half months away. That’s why Flamboro Speedway is ready to meet and greet fans this weekend at the Motorama Custom Car and Motorsports Expo. After a successful rookie season, Julia Capirchio is ready to get back behind the wheel in 2019. The schedules continue to be dropped from the various Ontario touring series, with the Ontario Pro Challenge Series dropping theirs on Tuesday. Despite starting near the back for the both Ontario Pro Challenge features on Saturday at Sunset Speedway, Tim Norris found his way to the front to win them both. 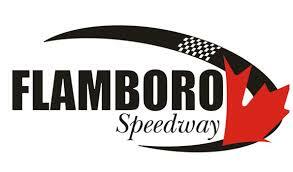 With the racing fast and furious on-track, there was no shortage of excitement on Saturday night at Flamboro Speedway as some new and familiar faces reached victory lane.